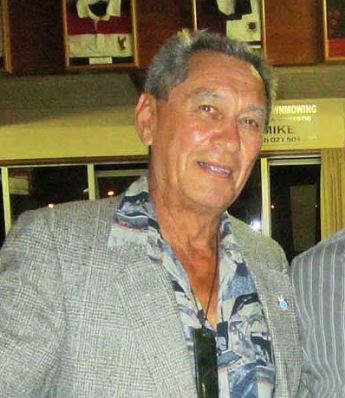 Regret to advise that our mate Pokiha (Tom) Hiini U18648 crossed the bar at 4.15am this morning, Saturday 15 September 2018. Tom was an ex Chief Petty Officer Yeoman of Signals who joined the Navy in January 1966 and retired from the Navy in April 1987. The funeral service for Tom will be held at the Waiheke Sports Club in Causeway Road, Ostend on Wednesday, 19 September 2018 commencing at 1100 and from there Tom will be interred in the RSA Section of the Waiheke Island Cemetery which is located at 205 Onetangi Road, Onetangi. After the burial, its back to the Waiheke Sports Club, for a cup of tea??? Very sad to hear this. Never served with Tom at sea but enjoyed more than a few beers with him over the years. Sincere condolences to his family. Served with Tom on Inverell and North Head all those years ago, so sad to hear of Tom’s passing. My sincere condolences to Tom’s family. An outstanding Chief Petty Officer, Yeoman of Signals. Tom is a gentlemen of refinement, exemplary, and very much respected and loved by his Whanau and many friends. Tom, your mission is complete – so, now it’s time to meet up and enjoy the company of your shipmates. I believe Butch Kingi is preparing the Hangi! Safe travels. E NOHO RA! Really sad news, a great bloke and wonderful colleague who will be sadly missed. RIP Tom and condolences to the family. Sad to hear. Good man. Very sad to hear of Tom’s passing. He was a class mate of mine (CS7 ) and one of the nicest guys around. Farewell Tom, you will be missed by all who had the privilege of knowing you. Yes. Quite a shock indeed! Tommy (Pokia) was a quiet gentle friendly guy. An asset to the bunting fraternity sadly gone. We will remember him. No reira e te rangatira haere haere oki atu! ma te atua koe e manaaki e tiake. RIP Tom, you will be missed, you were fun to serve with, Philomel, Waikato and Inverell some good times were had. Both of us enjoyed your friendship, your teasing humour and ever lasting laughter and smiles. We both will always treasure your memory.